Now Registered Importers can print vehicle conformity labels, one at a time, and at a very low per unit price. The Zebra Thermal Transfer desktop printer makes it affordable to print D.O.T. conformity labels. The labels are made from an all weather polypropylene to ensure that the information on the labels stays affixed permanently. No longer will you need to print on a paper label, laminate it with tape and hope it stays on the vehicle in the harsh weather conditions. The extra permanent adhesive ensures the the labels will go on and stay on ... even in freezing conditions. The Super High quality ribbons ensure that the information will not smudge or fade. 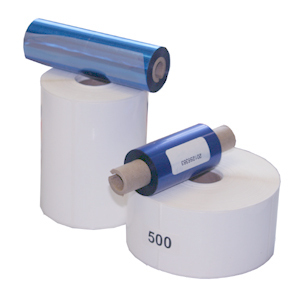 This is a Thermal Transfer printer which uses a special synthetic label and ribbon. Using a heat activated head the ribbon material is transferred to the surface of the label. This 3742 model has a 300 dpi (dots per inch) resolution which allows the labels to be printed in reverse black. This is a Thermal Transfer printer which uses a special synthetic label and Ribbon. Using a heat activated head the ribbon material is transferred to the surface of the label. 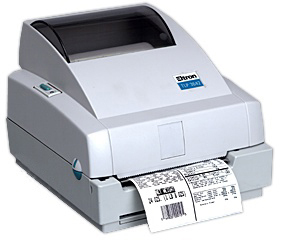 This 2742 model has a 200 dpi (dots per inch) resolution and is a very affordable desk top label printer. Ribbons - The High quality of these special ribbons ensures that print stays on the labels.